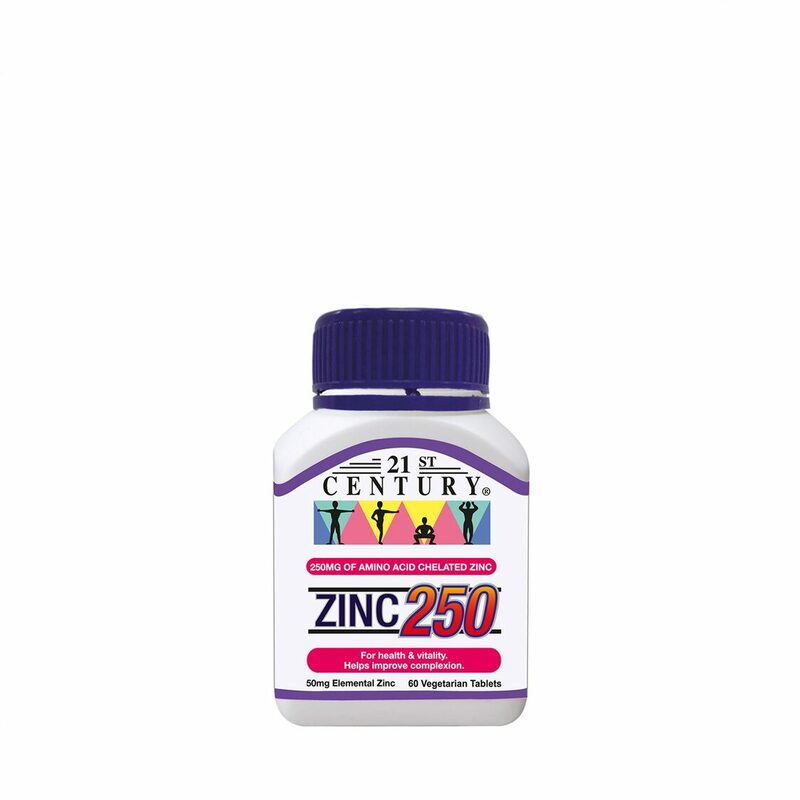 Zinc 250mg of Amino Acid Chelated Zinc equivalent to 50mg of elemental (actual) Zinc (60's). Zinc is one of the most common and important minerals in our body. It is required and involved in more than 100 enzymatic reactions. Zinc is also essential for general growth, proper development of the reproductive organs and healthy nails. In men, zinc is extremely important for normal functioning of the prostate gland. Research has also shown that zinc is required for good skin, wound healing and to prevent scar formation. Lack of Zinc in Men can cause many problems and weaknesses of the libido. Zinc is needed in larger amounts to recover from colds, flu and other viral diseases. Reports show that Zinc 50mg daily combined with L-Lysine 600mg speeds up recovery from flu and viral diseases.